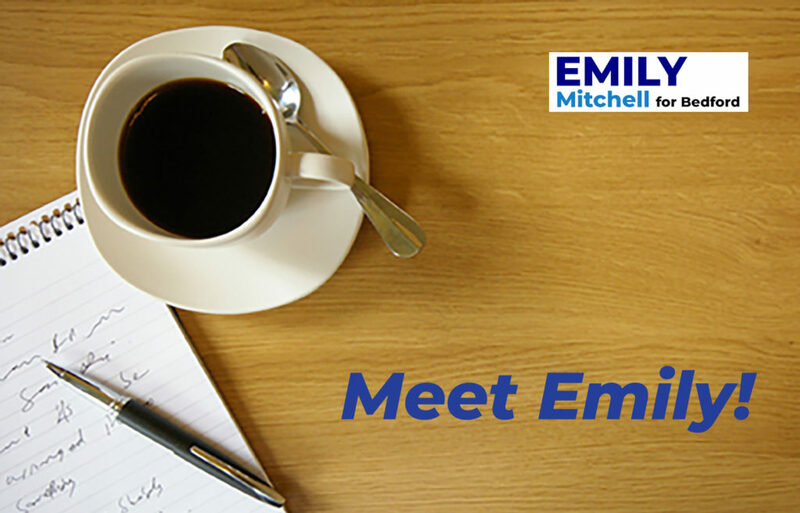 Want to meet Emily face to face? Below is a list of upcoming events. Most are also publicized on the campaign Facebook page. More events will be added as they’re scheduled. Meet Emily at the home of Stacy Schalick in Bedford. All are welcome at this drop-in event! A candidate forum sponsored by the BFC, targeted toward parents and families with small children. Held in the Thompson Farm common room at the Thompson Farm apartments off Middlesex Turnpike. A candidate forum sponsored by the Civic Issues Group at CWV, featuring all the candidates in contested races (Selectman and Library Trustee). Moderated by Wayne Davis, Town Moderator in Carlisle, and held in the Carleton-Willard auditorium. The League of Women Voters will host a forum for all candidates in this year’s Town Election, including contested and uncontested races, in the John Glenn Middle School auditorium. All candidates will give a two-minute statement; candidates for Selectman and Library Trustee will also answer questions from the audience. Meet Emily at the home of Sarita Pillai. Drop in for a little while or a long time — all are welcome! Find Emily at the polls on Election Day! She’ll be the one greeting voters and shivering in a purple coat in the JGMS parking lot. Meet Selectman candidates Emily Mitchell and Chris Gittins at the home of Sarah Scoville in Bedford. Childcare will be provided. Meet Emily Mitchell at the home of Christine and Ben Bennett, for cocktails, snacks, and conversation. 21+, please. Meet Emily Mitchell at the home of Dori Pulizzi. All Bedford residents of voting age are invited to attend. More info to come. Emily will be attending the Bedford Education Foundation’s annual fundraiser, this year with a “Roaring 20s” theme. Look for her in a red flapper dress! All ticket sales and other proceeds support BEF. A meet-and-greet with all the candidates in this year’s contested races (Selectman and Library Trustee), sponsored by the Bedford Housing Authority, held in the Community Room at 1 Ashby Place. Meet Selectman candidates Emily Mitchell and Bill Moonan at the home of Patty Dahlgren in Bedford. Conversation will focus on issues affecting neighbors of Hanscom Field, but all questions are welcome.